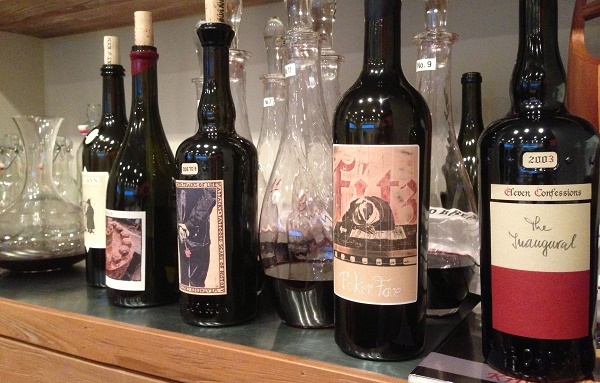 A palpable energy and the thrill of discovery accompanied my tastings in Santa Barbara this year. Every day seemed to bring with it new wines, new projects and plenty of the youthful energy that is the heartbeat of one of California’s most exciting appellations. One of California’s historic winemaking regions, Santa Barbara is extremely diverse, in both its AVAs and the wines that are made here. Readers will find everything from Pinot Noir and Chardonnay, to Bordeaux varieties to the full complement of Rhone grapes. In that sense, Santa Barbara is a little universe unto itself. In Napa Valley, and increasingly Sonoma as well, the barriers to entry are high because fruit is expensive. But in Santa Barbara a young winemaker can get started much more easily. Not surprisingly, Santa Barbara continues to attract top talent. The best wines from the new generation are striking. At the same time, many of the pioneers who established the region’s reputation are still going strong. Winemakers like Jim Clendenen, Adam Tolmach and Bob Lindquist seem to be enjoying a level of visibility they haven’t had in years. The young and the old meld together to form the rich, textured fabric that is Santa Barbara today. The newly approved Ballard Canyon AVA is another step in distinguishing the diverse set of appellations and microclimates that make up this extraordinary diverse patchwork of vineyards. Lastly, the food scene, one of the areas in which Santa Barbara has lagged other wine producing regions in California, appears to be going through a very positive period with a number of exciting new additions. In short, there has never been a better time to explore Santa Barbara County and all of its dimensions. Most of the wines I tasted on my recent trip were 2012s, a largely uneventful vintage that was a welcome sight of relief after 2010 and 2011, both of which tested the patience and resolve of winemakers to the maximum. 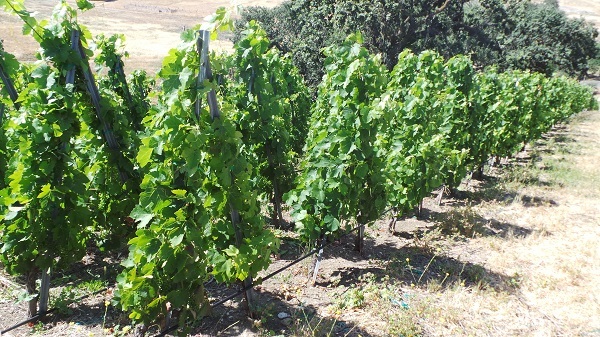 As I mentioned in my recent article on the Santa Lucia Highlands, high yields were a major issue. For the sake of convenience and future reference I will repeat some of those observations below as they apply to Santa Barbara. In 2011, Santa Barbara experienced a growing season full of challenges. Spring frost was a big issue in some places, notably in the Sta. Rita Hills. Flowering took place under difficult conditions, while the rest of the growing season was long and cool. The worst of the rains and the rot that followed were reserved for the North Coast, Napa Valley in particular, but growers in Santa Barbara had their hands full. Ripeness was achieved at lower sugar levels than most winemakers had ever seen. Marginal, cool locations near the Pacific Ocean were especially challenged. Some vineyards never ripened at all. Last year, when I was tasting through the 2011s, producers told me over and over it was a ‘winemaker’s vintage.’ I am not so sure. In 2011, Mother Nature made a lot of decisions. Throughout the year, growers had to be highly reactive. Things were totally different in 2012. Mother Nature made no decisions. Instead, producers had to make all the choices, and that required a whole different skill set. Think of it as playing offense versus defense. Vines set a healthy crop and the weather was picture perfect. After highly challenging seasons in 2010 and 2011, 2012 was a piece of cake. Growers could pick whenever they wanted under pretty much ideal conditions. Sounds perfect, right? Well, not exactly. Yields were up massively in 2012, in some places double of what is normal. After the very challenging, low-yielding 2011, my sense is that some growers tried to compensate for that shortfall in 2012, a very dangerous and tricky proposition. The culture of outsourced farming and a reliance on purchased fruit works, but winemakers have to be in the vineyard all of the time and have the ability to call the shots. Long-distance farming can also work, but it won’t give consistently outstanding results every year, even in California. Huge yields created all sorts of logistical nightmares, as producers had to scramble to pick all of that fruit at the optimal time, something that is next to impossible. Then, with all of the fruit in the cellar, tank space became a problem. Some winemakers simply did not have the room to process all of their fruit. This is where we start to see the breakdown a bumper crop can create; fruit that was not picked at the ideal moment and/or not processed as optimally as possible. 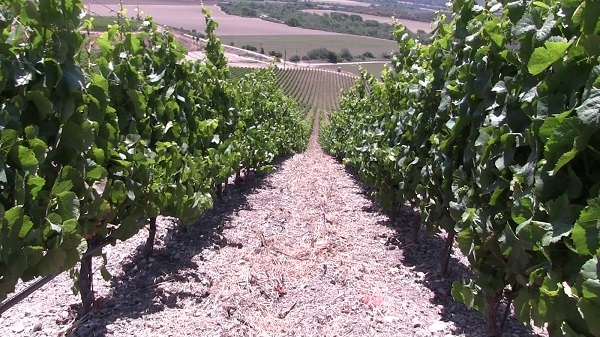 Guess what…all of that eventually manifests itself in the quality of the wines. Take the example of the winery whose 2012s have more new oak than normal. By the time the winery realized they were short on barrels the only thing available were barriques with high toast levels. That anecdote is not at all unusual. Relative to other regions within the Central Coast and California more broadly, Santa Barbara fared relatively well. I saw fewer diluted, weak wines in Santa Barbara than in other parts of the state. 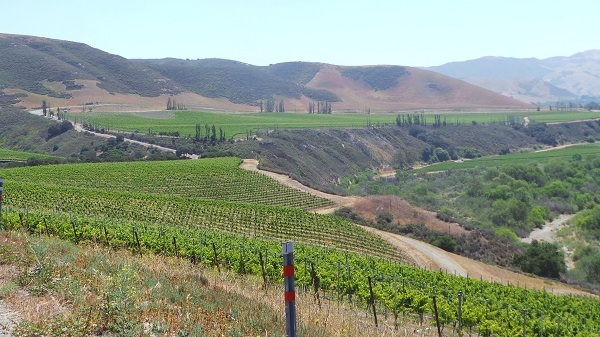 The loss of site specificity, which is a big issue in other regions, is less of a problem in Santa Barbara, something that serves to highlight just how special many of the county’s finest vineyards are. In some of Santa Barbara’s more naturally marginal, challenging sites, the 2012s, with their inherent radiance and generosity, are absolutely gorgeous. It is tempting to try to make broader observations of quality, but ultimately it comes down to producer, producer, producer. I hope readers will not pass up an opportunity to taste the 2011s. Yes, it was a challenging year, but where sites weren't completely overwhelmed by the weather, top producers made dazzling wines. The 2011s are often intense and tightly wound because of an almost unnatural level of concentration, but now that the wines have been in bottle for a bit, the cream is beginning to rise. Today, it is apparent that the best 2011s are truly stunning. Once again, it pays to be selective. For more background on Santa Barbara, readers may wish to revisit some of the articles in our archive.